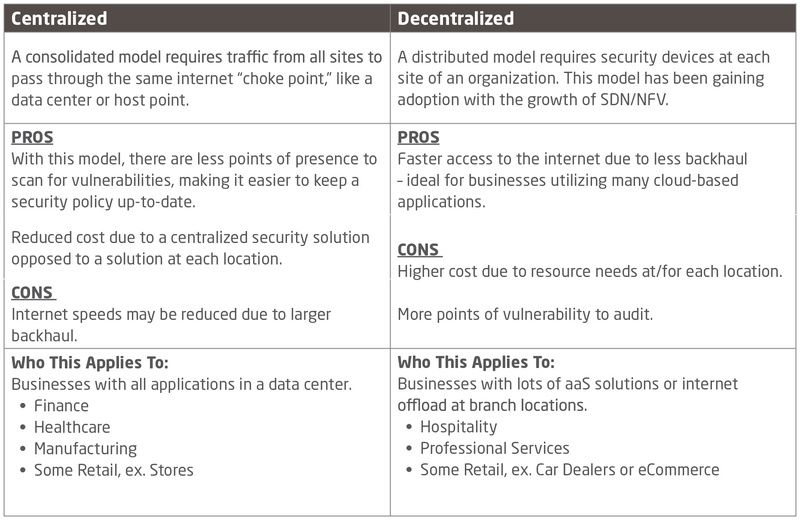 As the first required building block for an overall network security posture, a firewall is designed to block unauthorized traffic from penetrating the network. 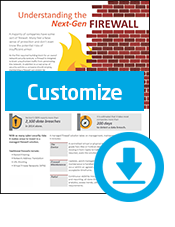 In addition to a vast array of security policies a company should employ, maintaining a firewall can stretch far beyond a full-time job and ties up a lot of IT resources. Having a firewall alone is not enough. A firewall does not prevent viruses or malware from entering the network, it cannot detect intruders nor can it monitor network traffic. Next-Gen Firewalls are the evolution of the enterprise firewall coupled with a number of network devices filtering and security features to protect customers. Download a recap of this training as a PDF. With so many cyber security risks, it makes sense to invest in a managed firewall solution. A centralized virtual or physical appliance (usually an enterprise grade Palo Alto or Fortinet device) now part of a monthly contract moving it from CapEx to OpEx. As needs grow and a larger device is required, scale the solution without having to purchase a new device. Updates, patch management, change management and other maintenance is handled 24x7x365 by the vendor. This service will occur within an agreed upon SLA to ensure needs are met in an acceptable time frame. Continuous visibility into perimeter security for monitoring, logging and reporting, all done through a cloud-based portal. View data and analytics, assess trends, utilize logs for audits and compliance requirements. IDS identifies malicious traffic targeting the network and provides alerts. Activity is logged to provide an audit trail available for review in a portal. IPS works in conjunction with IDS to block malicious traffic and quarantine suspicious traffic. Parameters can be set through the cloud-based portal. Antivirus software/applications protects inbound and outbound traffic against viruses, worms, trojans and other malware. Protection is at the edge of the network and in real time. Threats are logged in the same SIEM portal. Often the last piece of the security puzzle, content filtering protects your internal network. This web filtering blocks access to web sites outside of a company’s Internet “Acceptable Use Policy”, ranging from social media sites and YouTube to gambling and drugs. DPI grabs pieces of each packet to thoroughly inspect and identify anomalies or violations of normal protocol/communications. Log and track application use throughout the network to create a baseline and use these parameters to set policy around which users can access what. This integration allows a higher level of content/URL filtering based on the user’s roles within Active Directory. 24x7x365 management and monitoring of the company’s network is resource intense and time consuming. Use these discovery questions to talk to your customers about their security policy, upcoming needs and how they plan to evolve their security posture in our ever changing, high threat environment. Are you compliant with any additional regulatory and compliance standards? Do you employ any security staff currently? Are your employees trained on the security measures in place for them? What are your security challenges? What cloud-based “as-a-service” resources do you consume? Do you run audits on your security? Do your auditors rotate or do you always use the same auditors? When was your last audit? Where are your biggest security risks within your network? Do you have a disaster recovery or business continuity plan? To continue learning about Managed Firewall, watch TBI's "Quick & Dirty" training video above or on the University of TBI. Originally published on March 7, 2018.